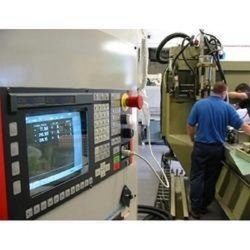 We are engaged in offering CNC Machine Maintenance Services. Our product range also comprises of Mitsubishi CNC Controller, Apex Planetary Gearbox and PLC And SPB Controller. With our expertise in this domain, we are able to offer a superior quality range of CNC Machine Maintenance Services. A special team of highly qualified professionals render these services as per clients’ demands. We ensure our clients that while executing these services professionals working with us use premium grade machines and high-end technology.